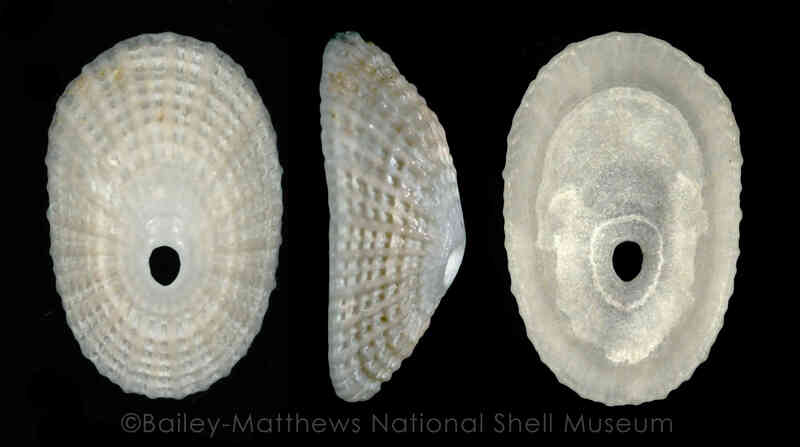 Shell size to 12 mm; shell small, oval in outline, orifice (“keyhole”) rounded-oval, situated anterior to shell center. Sculpture of 35-40 radial ribs, with a single thinner riblet present between each pair. Concentric threads on entire shell surface cross ribs giving beaded aspect to each intersection. Callus on internal surface of orifice of constant width. 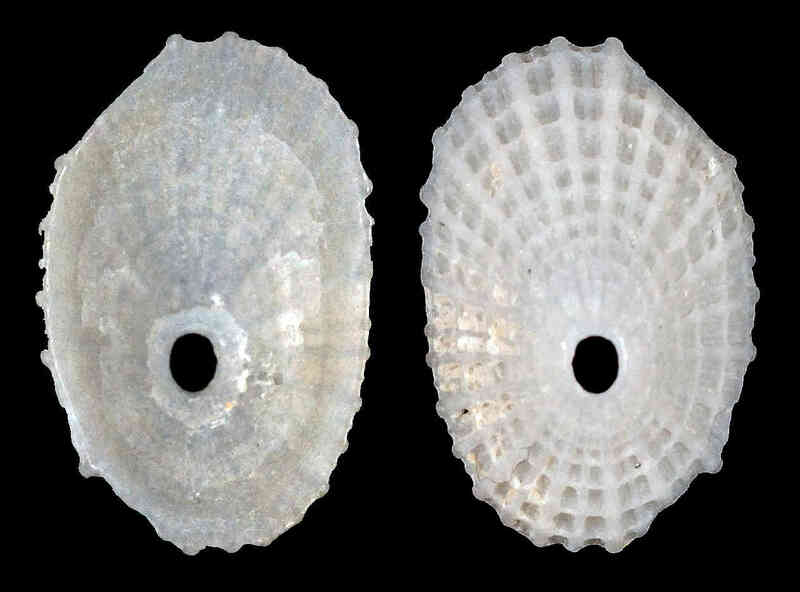 Shell whitish to light-cream colored. The illustrated shells are so far the only records of the species for Sanibel or Captiva islands. 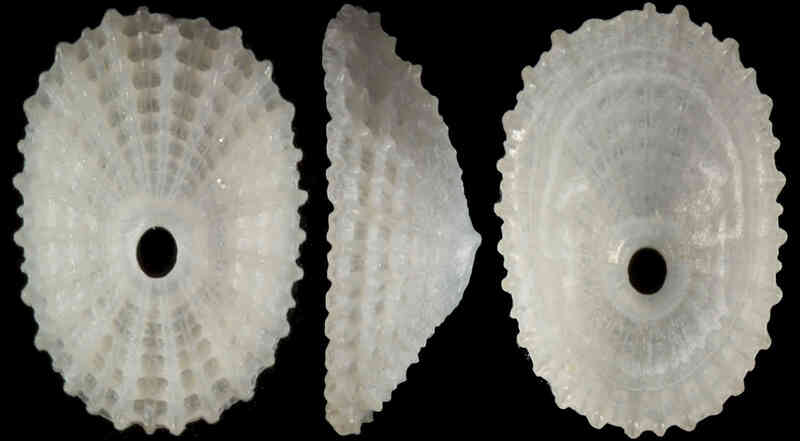 Shells illustrated were all collected by Susan J. Hewitt on the Blind Pass side of Captiva (Turner Beach), respectively in December 2015, December 2014, and December 2017.